President Tsai may issue NTD50bn economic dividend. According to President Tsai Ing-wen's announcement on January 1st, the government may launch bonus policy which total amount could be NTD50bn for refunding due to overtax and also goverment would like to share economic dividends to people. Regarding the financial resources, the Ministry of Finance pointed out that it is actively counting all kinds of financial resources and may launch relevant measures without any debt to implement above the president's so called "economic dividend plan"
In the New Year’s talk, President Tsai Ing-wen mentioned that in addition to salary increases and tax cuts. She said that in the past two years, the economy has grown, and the government's tax revenues have exceeded expectations. 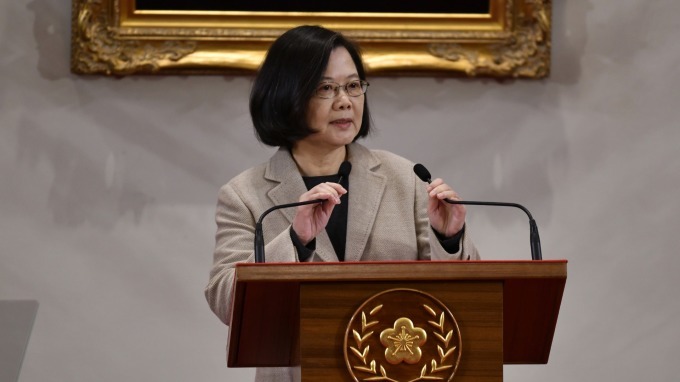 She has asked the Executive Yuan to propose specific plans as soon as possible so that people with lower incomes can have priority to recieve the dividends from economic growth. According to statistics, the economy has recovered in the past two years. The tax (excluding local taxes) in 2017 exceeded the budge by about NTD50bn and the tax in 2018 was estimated to exceed NTD55-60bn, totaling about NTD1,00-110bn in two years. After deducting statutory debts, there could be NTD50bn of economic dividend for people. However, in the past four years, although government’s tax revenues were higher than the budget, still had to borrow each year. If the tax profit returned to the public, the tax rebate benefits may be enjoyed by the people, but the debt may be borne by the next generation. The issue of intergenerational equity may arise accordingly. Nevertheless, President Tsai has publicly announced to release the "economic dividend" to the public. The Ministry of Finance said that the Executive Yuan will coordinate with departments and development specific "economic dividend plans" in the near future and the Ministry of Finance may also inventory various sources of money that can be used to implement president’s requirements without borrowing. In 2009, in the face of the financial crisis, in order to stimulate people’s consumption, the government compiled NTD858bn through special budget proposal. The amount of the “economic dividend plan” for this time may reach NTD50bn and may be necessary to raise funds through special budget proposal as well.